Consumer-directed healthcare plans (CDHP) accompanied with health savings accounts (HSAs) continue to increase in adoption, 20% year over year growth from 2017. Electing the plan is just the beginning. Many employers find it challenging to educate employees on the benefits of having an HSA. 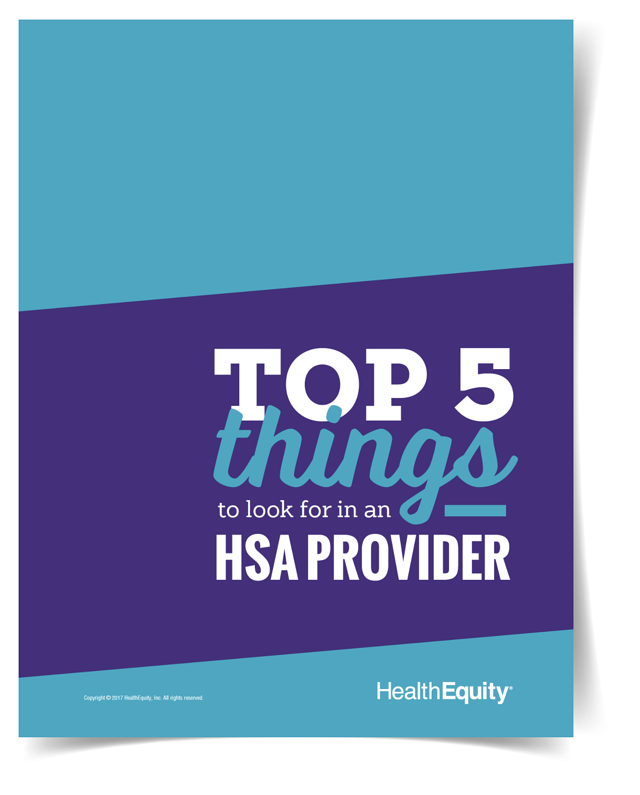 Here are a few tips to help employees use their HSA to the fullest. Engaged employees are more likely to use their health plan wisely by comparing costs and scheduling preventive visits often covered at 100%, ultimately, driving overall healthcare costs down. 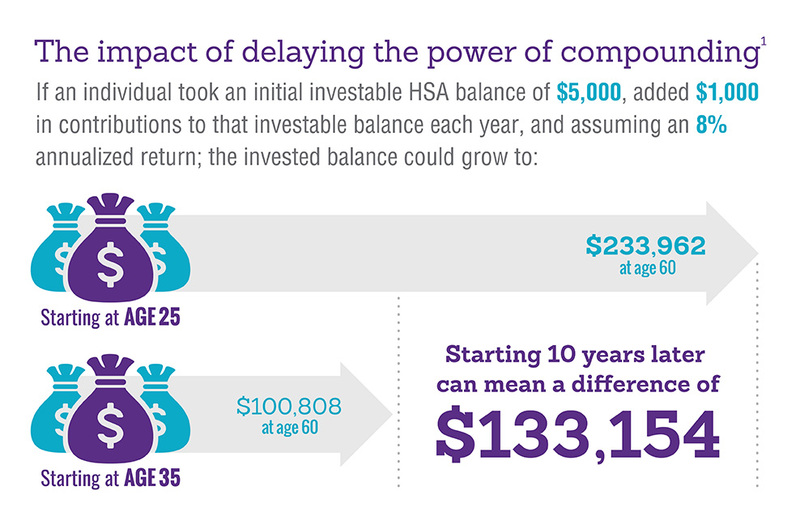 HSAs can be used for short-term or long-term healthcare costs. A recent report stated that retired couples may need as much as $400,000 for healthcare costs in retirement. Employees will appreciate your investment in their long-term success, for both healthcare and retirement goals. In today’s environment, savvy employers provide long-term healthcare and retirement savings by contributing to employees’ HSAs and 401(k)s. Your employees are responsible for taking a more proactive approach and commitment to become a smarter healthcare consumer. For some people, there is a very real fear of missing out on a potential benefit. Just look at the lines of people outside major retailers on Black Friday. This concept can be used as a powerful motivator because your employees can view their HSAs as a benefit they are potentially missing out on. The fear of missing out on compounded investment dollars in an HSA can be a compelling case for getting started now. Engaging with employees at open enrollment is a good practice, but because HSA contributions can be made at different times of the year, discussing the benefits year round is even more beneficial. Keeping HSAs top of mind with continual engagement throughout the year will reinforce with your employees that their health and wealth is a priority for you. When you have provided education about HSAs and inspired your employees to get started, make it easy for them to enroll and contribute to their HSAs. Is the HSA enrollment paperwork/sign up process too complicated? Can employees update and change their contribution amounts with your payroll system easily? Does your HSA administrator provide a user-friendly online portal? Clear the path so that your employees can take what you’ve taught them and put it into action. Helping your employees get excited about change, especially in healthcare, can be challenging, but following proven steps may ultimately lead to positive outcomes. Employers that consistently engage their employees with an open and honest dialogue, that make the transition an easy process and are committed to helping their employees find success in their health and wealth journey is change we all can get excited about. 1Does not include any applicable HSA Fees which vary by plan, provider and investments. This example is for illustrative purposes only. Investments available to HSA holders are subject to risk, including the possible loss of the principal invested and may not be eligible for federal depository insurance by the FDIC or NCUA or guaranteed by HealthEquity, Inc.. HealthEquity, Inc. does not provide financial advice.